When using a kettlebell, you need to learn how to deadlift properly. This requires proper form and the correct execution. 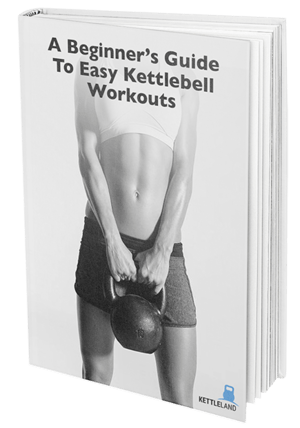 This quick guide will help users utilize their kettlebells so that they can get the most out of their workout and gain lean muscle naturally. What Is A Kettlebell Deadlift? First, you must understand the main meaning of a deadlift before we undergo kettlebell deadlifts. A deadlift is one of the most important exercise routines that you can perform. It helps create motor patterns, corrects your posture, and helps users see their results faster than any other exercise. With kettlebell deadlifts, you're doing the same exercise motion, but with the weight of a kettlebell. This is easier for beginners who might not be strong enough to lift up a bar with weights attached to it fully. For starters, the deadlifting position starts with the hips moving back. You don't want your knees pushed forward as this can lead to unexpected injuries. When you move back into a hip flexion position, make sure that your back is slightly arched. Also, don't crane your neck by sticking it too outward. You want it to remain in an upward position so that it's not affected by the weight of the kettlebell. This allows you to build strength in your hamstrings and glutes through doing the exercise with a full range of motion. Doing kettlebell deadlifts help users create dominance in their posterior chain. Also, it helps lengthen and loosen the quads and the hip flexors. You'll see great results when conducting basic deadlifts, and your body will be competent enough to work with higher weights once you understand the form correctly. What Are different styles of deadlift doable by kettlebells? Here are the different styles that you can use when using a kettlebell. It will engage your muscles in a faster way and help you improve your strength. One common error with this alternative deadlift is that people lean to the side to pick up the kettlebell. Instead, you need to hinge while keeping the spine completely neutral. If you aren't flexible enough to reach the ground without the need to lean sideways, you'll have to elevate the kettlebell on a plate or a stop. This deadlift is a great exercise for users who want to load up heavy. If you're experienced with the exercise, you can increase the weight of the kettlebells to ensure that you get the most out of this workout. Lock up your glutes, press your body to the floor and stand back up via a tension breath. Before starting this deadlift exercise, you should practice using your bodyweight at first. Doing so allows you to get the right balance and alignment, and helps your body not rush into the sticking point through the exercise. When learning how to deadlift with a kettlebell, it takes some time getting used to at first. Make sure that you practice these exercises to ensure that your muscles will grow faster and more naturally. Getting a kettle bell will help users get their bodies in shape and help users gain the strength to deadlift heavier weights.